References form the backbone of any medical literature. Presently, because of high inflation, it is very difficult for any library/organization/college to purchase all journals. The condition is even worse for an individual person, such as private practitioners. The solution lies in the free availability of full-text articles. Here, the authors share their experiences about the accessibility of free full-text articles. 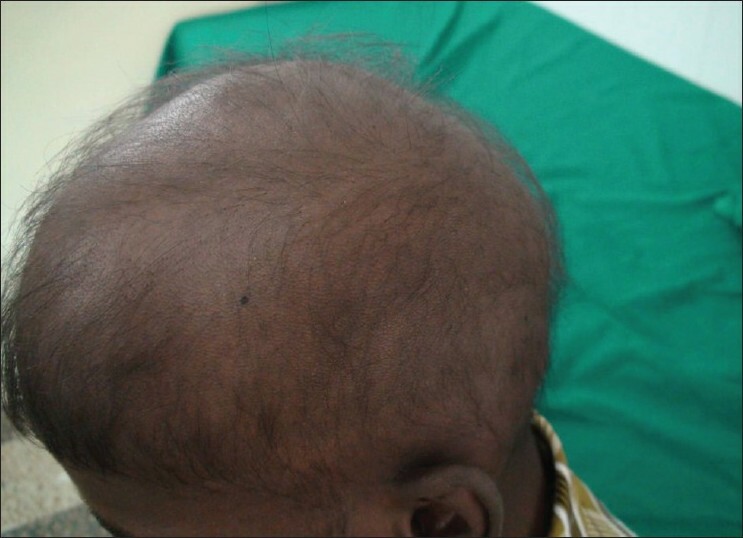 Background: Extensive alopecia areata includes alopecia universalis, alopecia totalis, ophiasis and patients having more than 50% scalp involvement. Alopecia universalis (AU) and totalis (AT) are considered to be resistant to single modalities of treatment. Our study highlights the efficacy and safety of combination therapy in extensive alopecia areata. Aim: To evaluate the efficacy and safety of a combination treatment with oral bethametasone mini-pulse, topical minoxidil and short contact anthralin in long-standing, treatment-resistant, extensive alopecia areata. 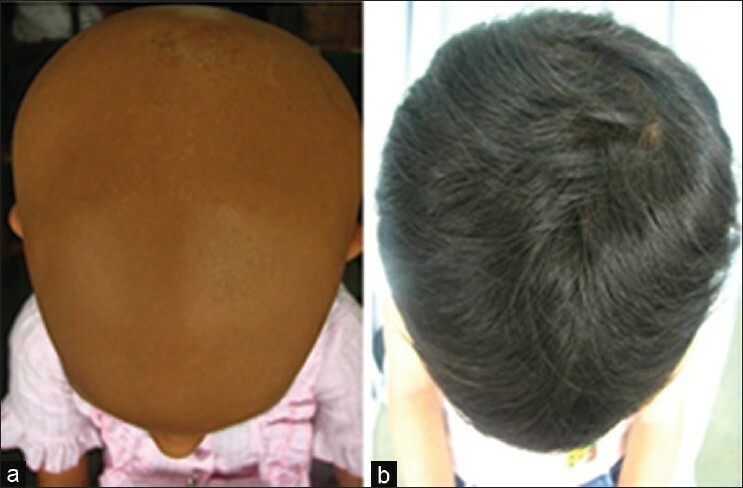 Materials and Methods: Fifteen patients aged 7 to 45 years with extensive, treatment-resistant alopecia areata (AU: 7; AT: 1; ophiasis: 4; patients with more than 50% scalp involvement: 3) were treated with betamethasone oral mini-pulse (0.1 mg per kg body weight per dose on two consecutive days per week) along with short contact anthralin (1.15%) and 2-5% minoxidil lotion daily, till response. 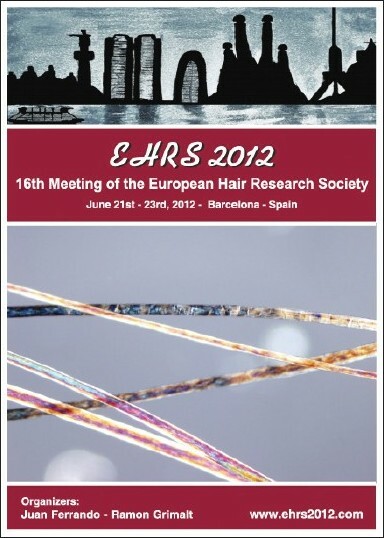 The response was assessed by the severity of alopecia tool (SALT) score. Cosmetic response was defined as regrowth obviating the need of a wig. Failure of treatment was defined as no growth or vellus hair on the scalp. Results: Out of eight patients with AU/AT, two attained cosmetic response as early as three months, two at six months and one had partial response. Cosmetic response was attained in all four patients with ophiasis and all three patients with more than 50% scalp involvement at six months. All responders maintained their response without systemic steroids beyond 12 months. Among a total of twelve responders (80%), two with AU showed a mild relapse and were effectively treated with intralesional steroids. Side effects to therapy were mild and reversible. 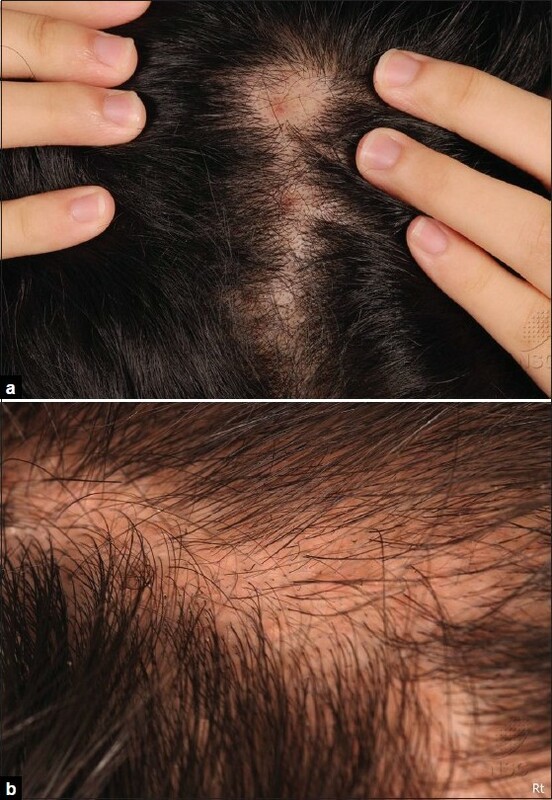 Conclusion: A combination therapy of oral steroid minipulse with topical anthralin and minoxidil acts synergistically, being effective as well as safe in treatment-resistant, extensive, long-standing alopecia areata. Objectives: Breast cancer patients suffer from madarosis (loss of eyelashes) due to chemotherapy side effects. An effective treatment or prevention for alopecia or madarosis induced by chemotherapy is not available. Potential drug side effects of bimatoprost solution include increased eyelash length, darkness, and number. A formulation of bimatoprost which maximizes eyelash enhancement and minimizes intraocular and systemic side effects has not been reported. Materials and Methods: An Institutional Review Board (IRB) and Investigational New Drug (IND) approved, randomized, single-blinded, prospective, internally controlled trial compared bimatoprost eyelash gel in relation to eyelash enhancement of madarosis patients. Forty eyelids of 20 chemotherapy-treated breast cancer patients were randomized to treatment or control (fellow eyelid). 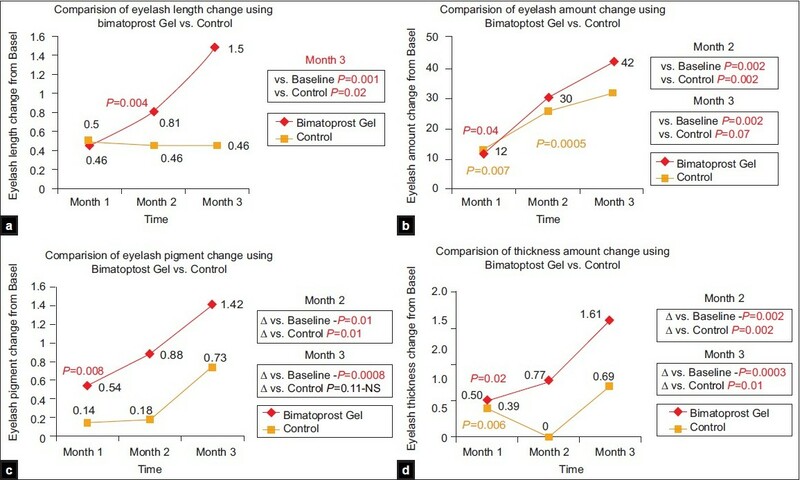 Both patient and surgeon (blindly) evaluated bimatoprost gel's effectiveness in improving eyelash appearance at baseline and at monthly intervals. Results: The median follow-up time was 3 months (range 1-4). There was a significant difference between treated and fellow eyelash length during month 2 [1.00 mm (P=0.004)] and month 3 [1.00 mm, P=0.02)], in eyelash pigment [month 1 (2.5, P=0.04); month 2 (2, P=0.0009); month 3 (3, P=0.06)] and thickness [month 2 (2, P=0.002); month 3 (3, P=0.01)]. There was an improvement in the patient satisfaction scale from baseline 16 (median, range 7-21) to 26 (median, range 17-33, P=0.002) at last follow-up. Conclusions: Bimatoprost eyelash gel appears promising for chemotherapy-induced madarosis. Patients may find the effects restorative and cosmetically enhancing. Trichotillomania is an impulse-control disorder. The underlying psychiatric comorbidity or functional impairment is well recognized by clinicians. Patients with trichotillomania pull their scalp hairs, resulting in damaged, distorted hair follicles, and broken hair shafts within the skin. The local irritation and inflammation resulting from reaction to the broken, impacted hair shafts and malaligned regrowing hair can lead to pseudofolliculitis, much the same as a patient who waxes or shaves her legs gets itchy papules of pseudofolliculitis. Pseudofolliculitis becomes an organic reason for scalp itch and discomfort, and contributes further to the vicious cycle of itch and scratching in trichotillomania. This phenomenon has not been well documented. Treatment of trichotillomania would be more effective if the pseudofolliculitis component is addressed. 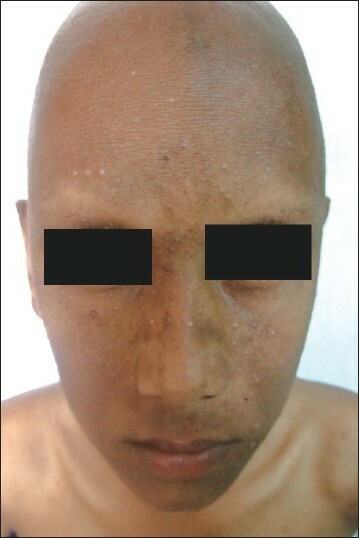 We describe a series of patients with trichotillomania and pseudofolliculitis. These patients improved after topical steroid therapy, topical or oral antibiotics. Hair regrowth was also visibly better, with patients reporting improvement of symptoms of itch. All these patients were not placed on antidepressants nor antipsychotics. Diphenyl cyclo propenone (DPCP) is used as a topical immunomodulator in alopecia areata. It is a potent allergen. The process of procuring, dilution and application limits its wider use. This short communication aims to make the DPCP application easy to use. 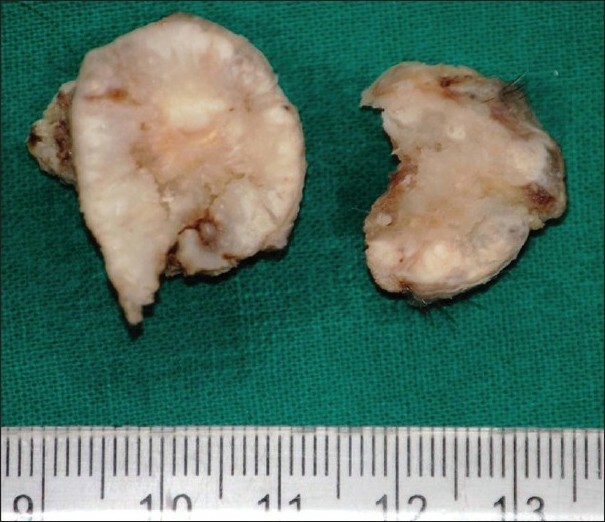 A 65-year-old lady presented with an ulcerated lesion over the occipital region of nine-year duration, an incisional biopsy of which was reported as squamous-cell carcinoma. 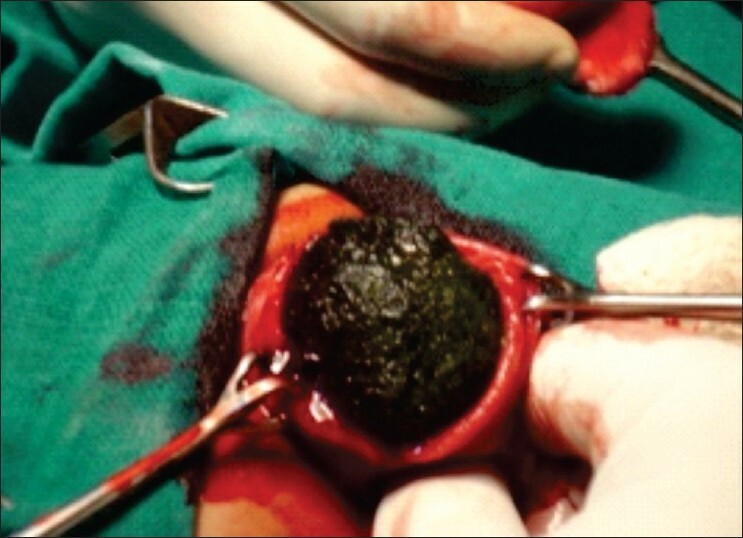 A wide local excision was performed and the tissue was sent for histopathological examination which revealed a low-grade malignant pilar tumor. Focal invasion and atypia were noted. Immunohistochemical (IHC) analysis revealed positivity for CD34 and calretinin immunomarkers favoring outer root sheath origin. Ki67 immunostains revealed a relatively low immunoreactivity indicating the low-grade nature of the tumor; however, p53 immunostain showed strong diffuse nuclear staining confirming the malignant nature of the tumor. Proliferating pilartumors (PPT) are rare tumors and less than 100 well-documented cases of malignant PPT have been reported so far in the literature.These tumors have been recently classified into benign, low- and high-grade malignant tumors and statistically significant difference was found in their biological behavior. However, we propose that IHC can be of immense value in assisting the subtyping of the tumor, so that the behavior and role of adjuvant therapy can be validated in future studies. Rapunzel Syndrome is a rare trichobezoar, involving strands of swallowed hair extending as a tail through the duodenum, beyond the stomach. Trichobezoar usually occur in patients with history of trichotillomania, characterized by compulsive behavioral disorder of pulling own hairs, combined with trichophagia that consists of ingesting that hairs. It typically occurs in stomach and rarely affects the small intestine. 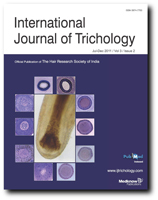 Trichobezoars are more common in adolescent females. Common presentation is gastrointestinal tract obstruction with nausea and vomiting, gut perforation, acute pancreatic necrosis, obstructive jaundice, hypochromic anemia, vitamin B12 deficiency, weight loss, an abdominal mass, or other serious problems. Intestinal obstruction due to trichobezoar is extremely rare. We are here reporting a large trichobezoar in a 3-year-old male child who presented to the emergency department with thread protruding from mouth with no sign of hair loss on body. 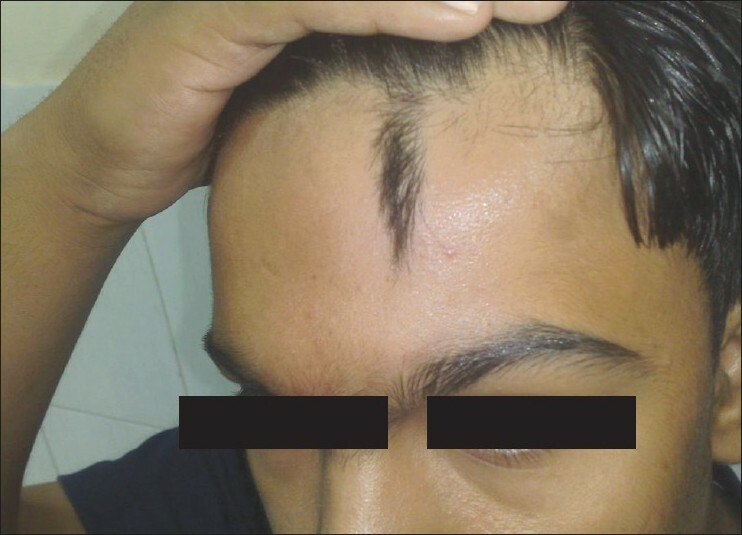 A 25-year-old male, born of non-consanguineous marriage presented with complaints of sparse and thin hairs over scalp and dystrophy of nails since childhood. This case highlights the association of trichorrhexis nodosa with nail dystrophy and the use of trichoscopy as a noninvasive method for diagnosis of hair disorders. Silvery hair is a rare clinical manifestation which is a common presentation in a group of rare syndromes which usually present in the pediatric age group together termed as "silvery hair syndrome," consisting of Chediak-Higashi syndrome (CHS), Griscelli syndrome (GS), and Elejalde disease. CHS is a rare autosomal recessive disorder. It is characterized by mild pigment dilution (partial oculocutaneous albinism), silvery blond hair, severe phagocytic immunodeficiency, bleeding tendencies, recurrent pyogenic infections, progressive sensory or motor neurological defects. GS is also a rare autosomal recessive disorder characterized by reduced skin pigmentation, often regarded as partial albinism and silvery grey hair combined with immunodeficiency. To make correct diagnosis and to differentiate between CHS and GS, it requires light microscopic examination of skin and hair shafts, immunological and peripheral blood smear evaluation. They have been reported to be associated with some common clinical association as a part of the syndrome due to pigmentary delusion, neurological dysfunction, and severe life-threatening infections due to neutrophil phagocytosis dysfunction. There are reports of few rare associations and varied presentations and variable mean survival age. 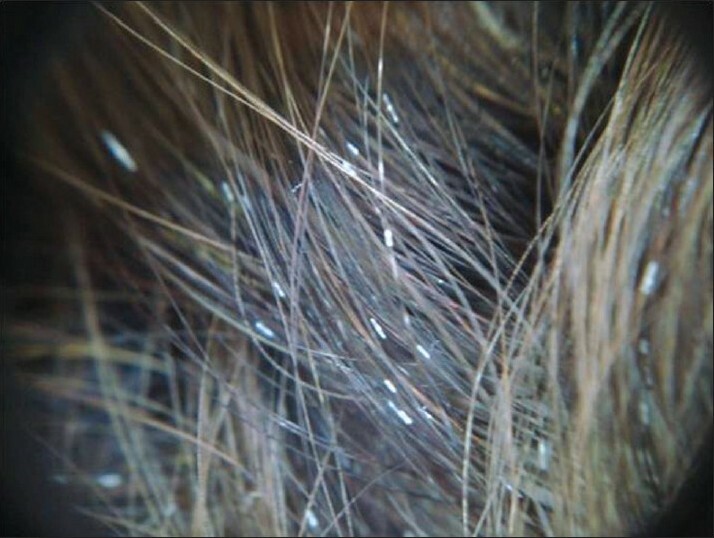 We report two cases with common presentation of silvery hair but varied systemic and clinical manifestations and survival in two cousin brothers from the same family. Atrichia with papular lesions (APL) is a rare autosomal recessive form of irreversible alopecia with onset at few months of age with papular keratin cysts over the body. It is associated with mutation in the Zinc finger domain of the human hairless gene on chromosome region 8p12. 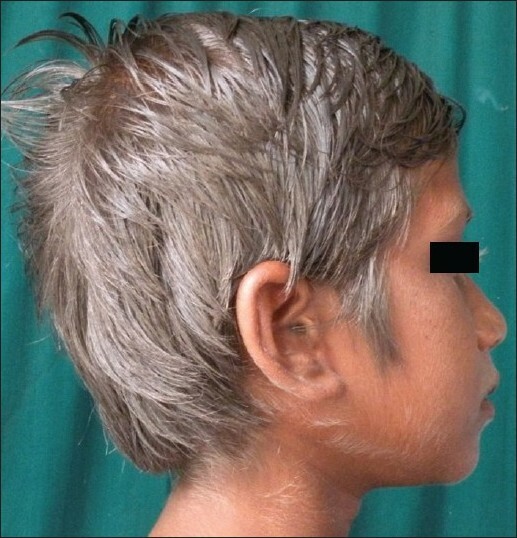 An eleven-year-old male presented with extensive alopecia starting at six months of age refractory to the treatment along with keratotic papules on the face and trunk. 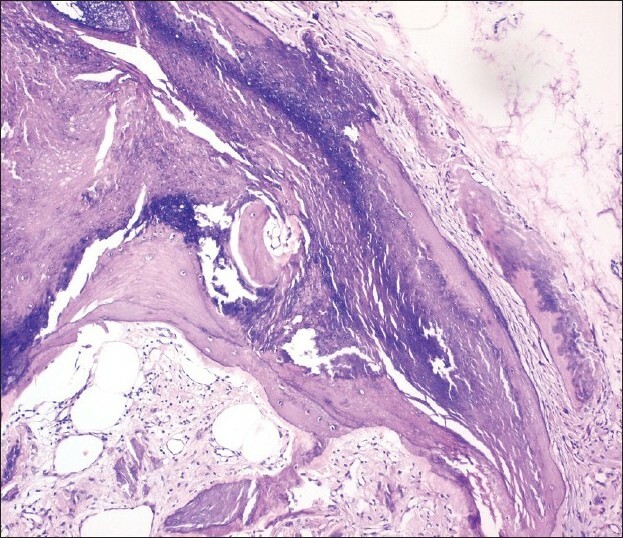 Biopsy from a papule showed mid-dermal keratin cysts and from the scalp showed few vellus follicles with no terminal hairs. The diagnosis of APL was made based upon the criteria proposed. Vitamin D-dependent rickets was ruled out as it has similar clinical presentation. Accurate diagnosis of APL is required to avoid unnecessary treatment to the patient as it is commonly misdiagnosed as alopecia universalis and treated with systemic steroids. Nevoid hypertrichosis is a rare entity characterized by circumscribed patches of terminal hair. It is associated with many cutaneous and extra-cutaneous abnormalities. In our case, a single circumscribed patch of terminal hair growth was present without any underlying or associated cutaneous or systemic abnormalities. Bubble hair is an acquired hair shaft abnormality characterized by multiple airfilled spaces within the hair shaft. It is a result of thermal injury. We report a classic case of 22-year-old female who complained of dry brittle hair of two-week duration. Patient had used hot iron on wet hair twice to straighten hair. Hair microscopy was diagnostic and showed multiple air-filled spaces within the hair shaft. Hair casts or pseudonits are thin, elongated, cylindrical concretions that encircle the hair shaft and can be easily dislodged. A case of pseudonits in a 9-year-old girl is reported. Though not unusual, false diagnoses are common.